6th European M&A Conference: Get your early bird ticket only until tomorrow! 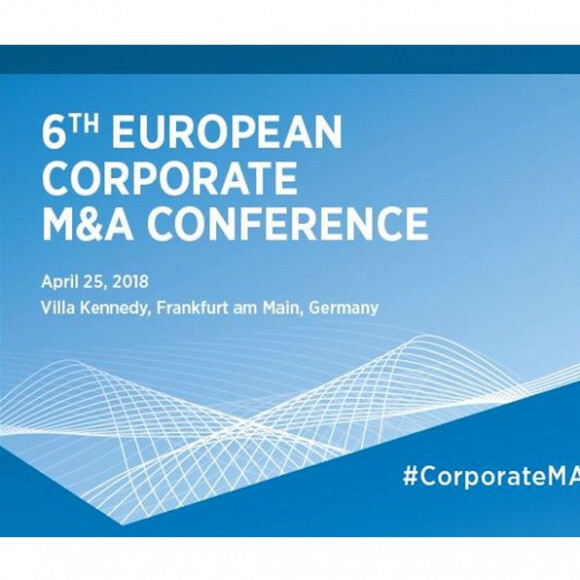 The European Corporate M&A Conference, which takes place on 25th of April 2018 in Frankfurt for the sixth time, is considered to be one of the most important platforms in continental Europe for yearly about 250 selected M&A decision makers from Germany and Europe. As a corporate representative, you are invited free of charge. The registration fee for representatives of banks, law firms, private equity firms, investment and advisory companies as well as providers of other financial and advisory services is 1200,- €** (plus VAT) per person. Until tomorrow (March 14, 2018) the reduced early bird fee is 900,- € (plus VAT).